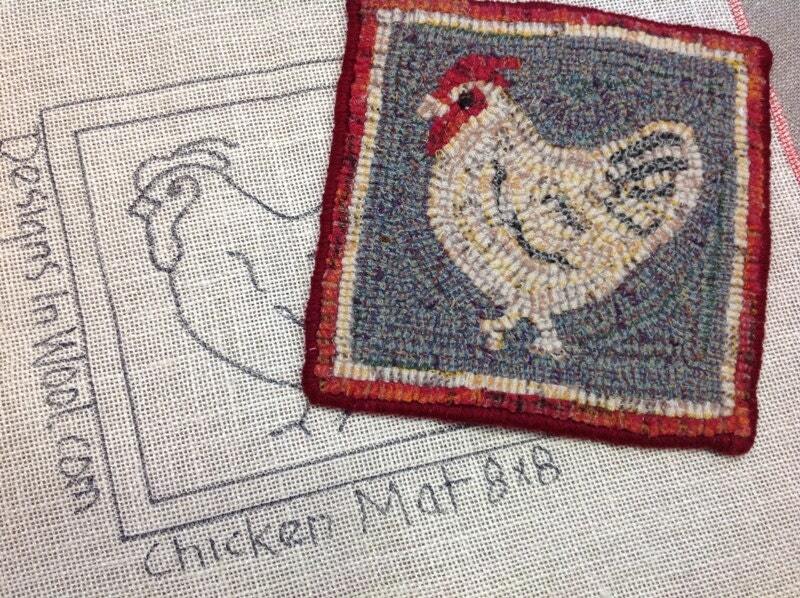 This listing is for the KIT to hook my design "Chicken Mat". The design measures 8" x 8". If you know how to hook this is a perfect beginner project. Also, a great kit for veterans to hook up quickly or to teach a friend to hook. It makes a great trivet for a tea pot. 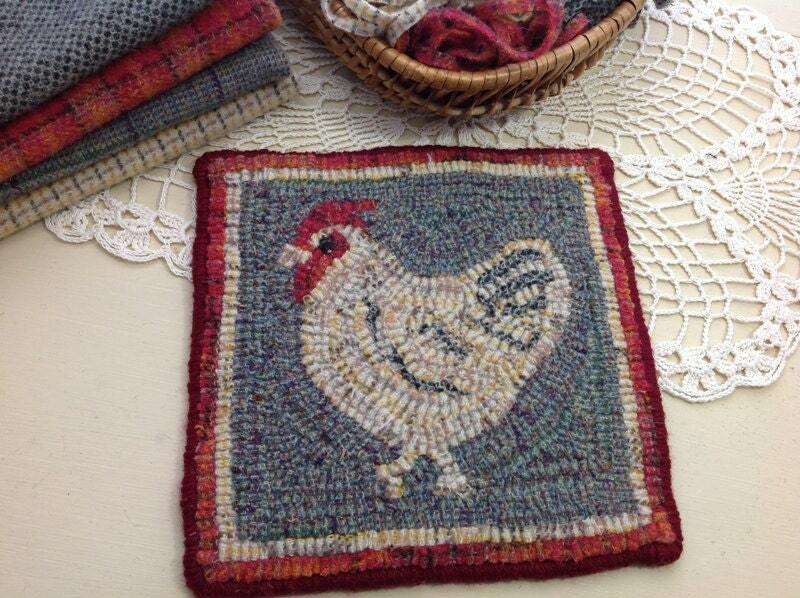 Or place it in a basket or use it to top an antique stool. It DOES NOT include instructions on how to hook. 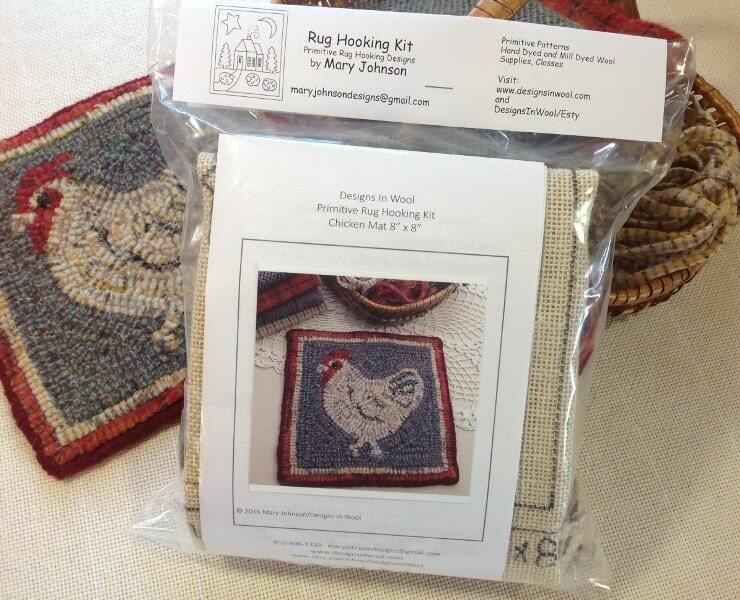 If you purchase this kit, I recommend that you find a rug hooking class in your area to learn HOW to hook. The last photo shows how the kit comes packaged. An instruction sheet with where to hook the wool and finishing tips is included. The wool in the kit will be cut in a #8 (1/4" wide) cut. 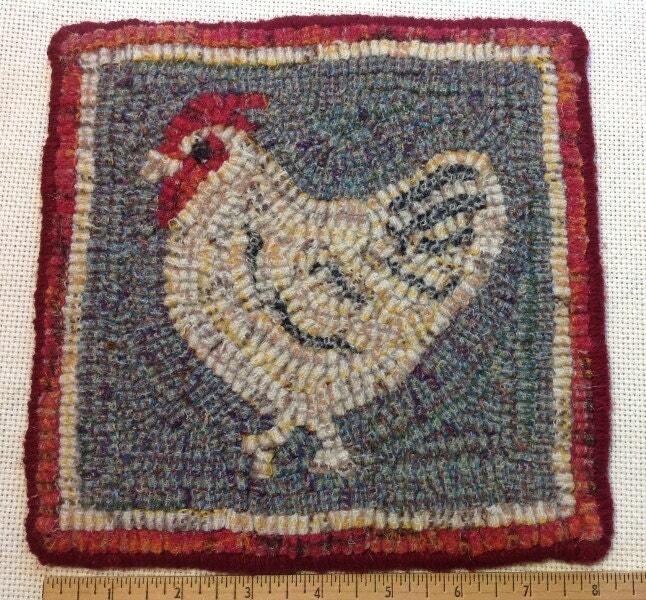 If you would like to purchase JUST the pattern, see listing P102. 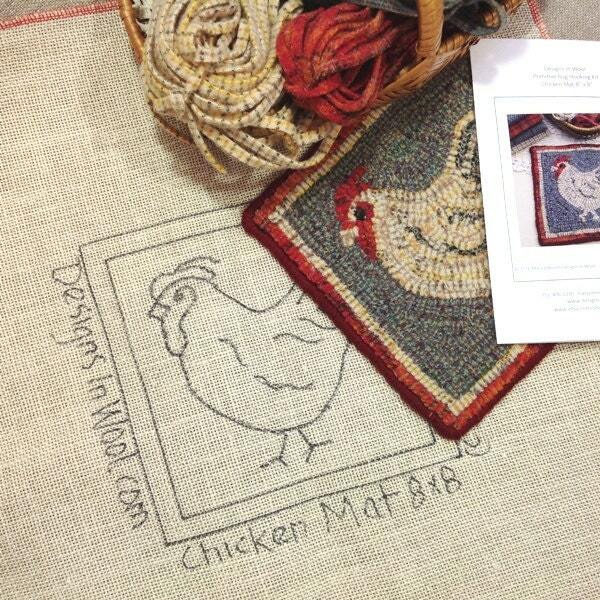 Mary's designs are beautiful! Ordered three of these for gifts- and they are coming out fantastic! Included cut wool strips made this that much easier to start! Lovely kit arrived quickly and was just as described. Can’t wait to order another one!